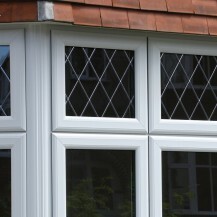 The casement window is the most popular window style in the UK. A typical casement window can be installed as a stand-alone window unit as well as part of a bay window or bow window configuration. Casement windows are most commonly made of uPVC and are usually hung vertically, with an opening window hinged from the left or the right side of the frame. The hinges allow casement windows to easily swing open and closed for maximum ventilation and increased fire safety. When you open a casement window, you are opening the entire the sash that holds the glass in place. In contrast, when you “open” a double-hung window, you are only opening the bottom or top sash, while the other sash remains in place. 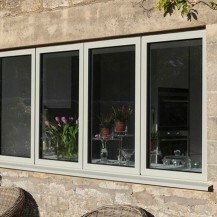 Casement windows, as a result allow for a higher degree of airflow providing excellent natural ventilation and light. In addition to maximizing ventilation, the large space a casement window provides when open is beneficial for fire safety, and having the entire sash open on a pivot makes it easy for people to exit in the event of a fire. 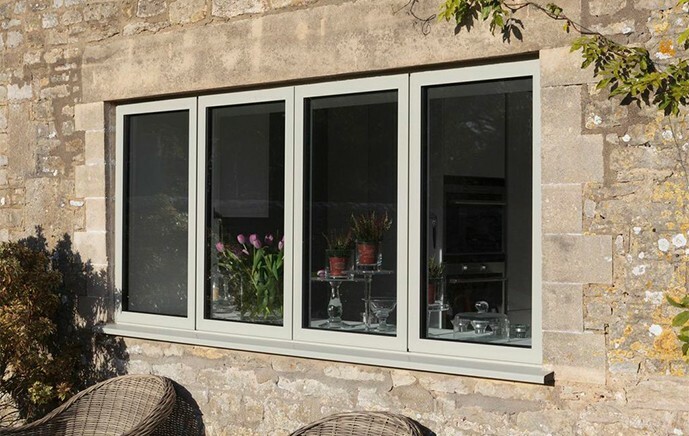 The traditional casement style window uses a single-level latch or tandem latch, which makes them easy to open and close, but most casement windows can also be fitted for automatic openers. Since casement windows open and close easily with the turn of a handle, they’re a great option for areas that are difficult to reach, like over the kitchen sink. Adding to their convenience, casement windows are also designed to allow for easy cleaning from insider your home. Casement windows are the second most efficient, after fixed-pane windows. Although the type of glass in a window has a significant impact on its insulation rating, the construction and mechanism of the window are also important. Casement windows, because they open outwards and their sashes close against their frames, create an airtight seal. This helps prevent air entry and leakage and is more energy efficient that double-hung windows made from the same glass and sash materials. Casement windows offer a number of attractive design features such as French, Flat Top, Push Out, Top Down Grille, Colonial Grille and No Grille. Casement windows can also be made to measure and designed for individual projects. Homeowners can choose from a number of materials including uPVC, Wood and Aluminium.